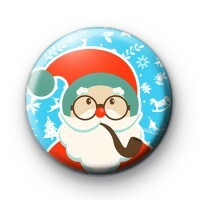 Everyone needs a cute Santa Claus Badge at Christmas & this blue one is extra cute. All our badges are 1 inch and we have a huge selection of Festive badges in the shop so make sure you check them out. They make great little stocking fillers.